Even when buying a townhouse or residential condominium, customers these days expect so much more from a brand. 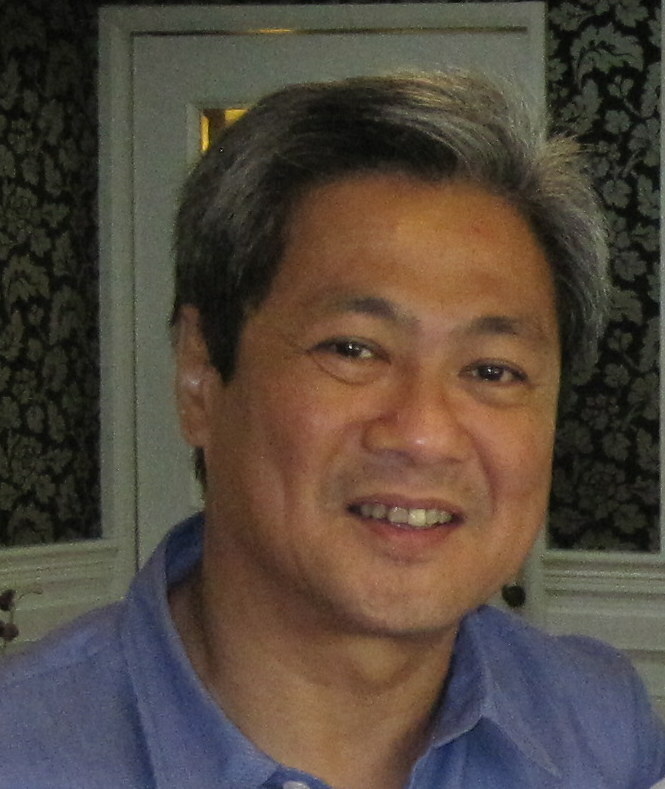 Chief among these expectations, particularly among high-end buyers, is that spaces have a certain unique character they can relate to or a strong “sense of place,” according to Digno “Ding” Asuncion, who, together with wife Isabel, heads Asuncion-Berenguer Inc. (ABI), a leading architectural and interior design firm. Thus, when ABI drew plans for a boutique 280-unit town house development by Alveo Land in Pasig City, the firm shied away from safe-and-tested design solutions. It chose a contemporary theme focused on the cubiform for the townhomes. For the centerpiece of the community, the clubhouse, Ding designed an irregular L-shaped layout, with window recesses that play on irregular angles. “Many people believe symmetry is beauty. In Ametta Place, we wanted to show that asymmetry can also be very attractive,” explains the architect, who, after working with international architectural firms in Hong Kong, set up his own design office doing design work in Guangzhou and Shanghai, and in the colony at the height of the construction boom in the ’90s. Asymmetry is also very evident in a four-level clubhouse for Solinea Condominium Resort in Cebu, also drawn up by ABI. The clubhouse’s layout and facades likewise shy away from right angles. The architect who paints abstracts in mixed media and creates metal sculptures to destress observes that more and more upper-end real estate clients are traveling these days and getting exposed to unconventional architecture that make a design statement. Another ABI project that breaks the monotony of traveling on the North Expressway is an all-white Shell Station Food Hub along North Luzon Expressway, with a roof that seems to form a wave. Inside, the structure breaks away from the standard flat ceiling and follows the curves of the roof, allowing the visitor to experience that strong sense of place consistent with the works of ABI. To keep his creativity flowing, Ding dabbles in the fine arts. He works with mixed media on canvas and has a marked preference for acrylic and charcoal. His garden in the Quezon City home he shares with Isabel and their three children displays his metal sculptures that he leaves to rust—finding beauty in the oxidation process. 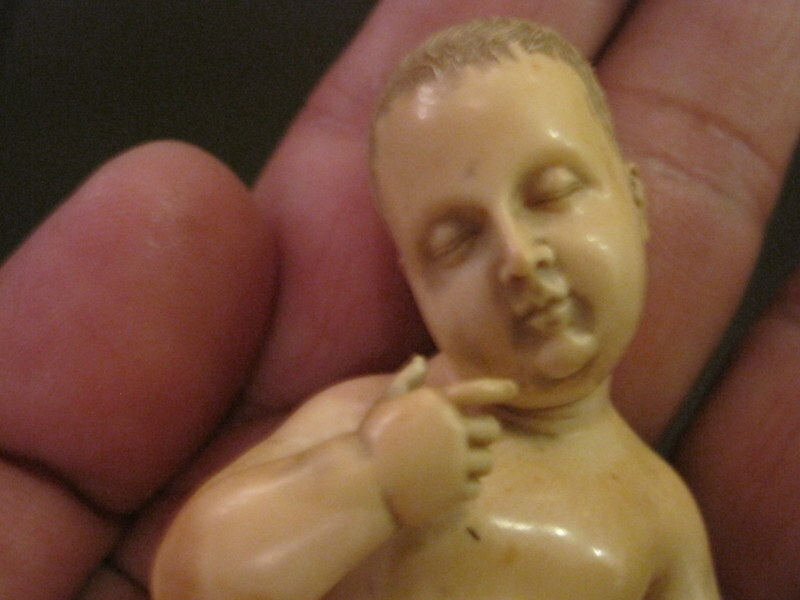 Nevertheless, he does not exhibit or sell his works as a rule. The rare owner of three of his paintings is an ex-pat, who bought a Belleview flat in Tagaytay Highlands once owned by the couple. The buyer purchased the place on the condition that Ding’s paintings should be part of the package. In 2013, another ABI-designed structure in Bonifacio Global City is bound to make passersby pause and think. To maximize visual impact, the mid-rise headquarters of Alveo Land is composed basically of two attached rectangular masses, with one significantly smaller than the other. Its glass wall exteriors boldly display solid diagonal panels which continue beyond the roofline. “Our client is a prolific developer that embraces green architecture. They continually explore new concepts for their projects and have grown leaps and bounds,” says Ding. He drew inspiration from the bountiful grass that grows in Bonifacio Global City’s open spaces, which are fast disappearing and may in the near future be immortalized only in this prime building beside High Street. Sometimes plans go awry and dreams of reunions, even years in the making, do not materialize. Blame it on unfavorable timing, exorbitant plane fare or just plain and simple: flights are fully booked. Legitimate excuses. 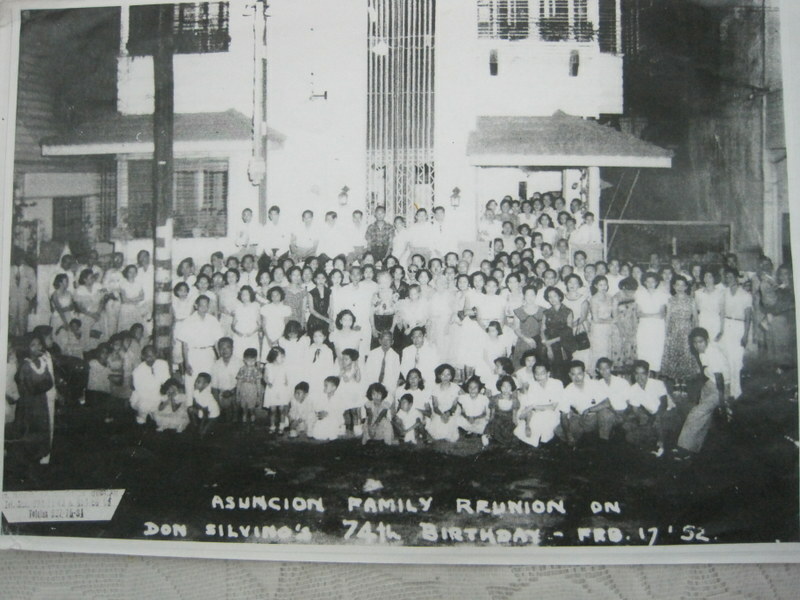 The reality is Asuncion family reunions are scheduled in late December or January are tough for travelers. 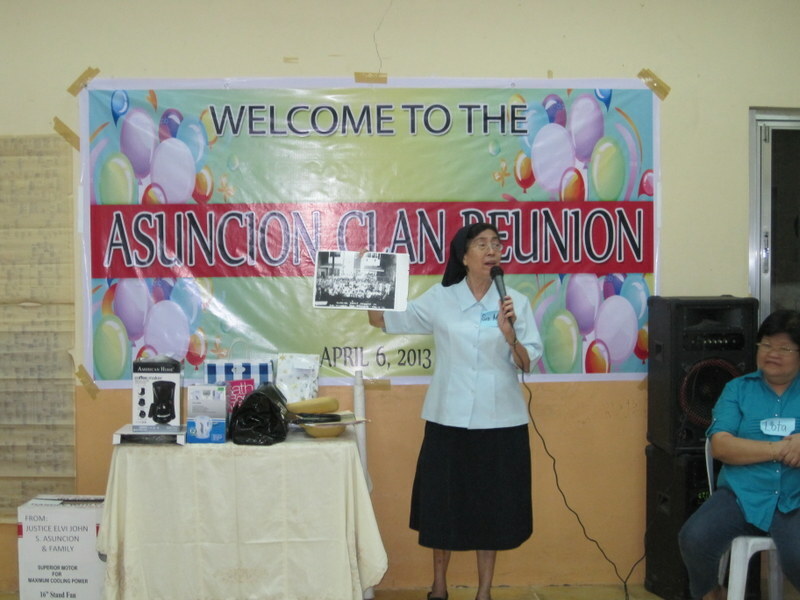 An old cliché comes to mind – “Pictures are worth a thousand words” and “To make a long story short,” here are some of the pictures taken during the Asuncion reunion. But wait! There’s more!! 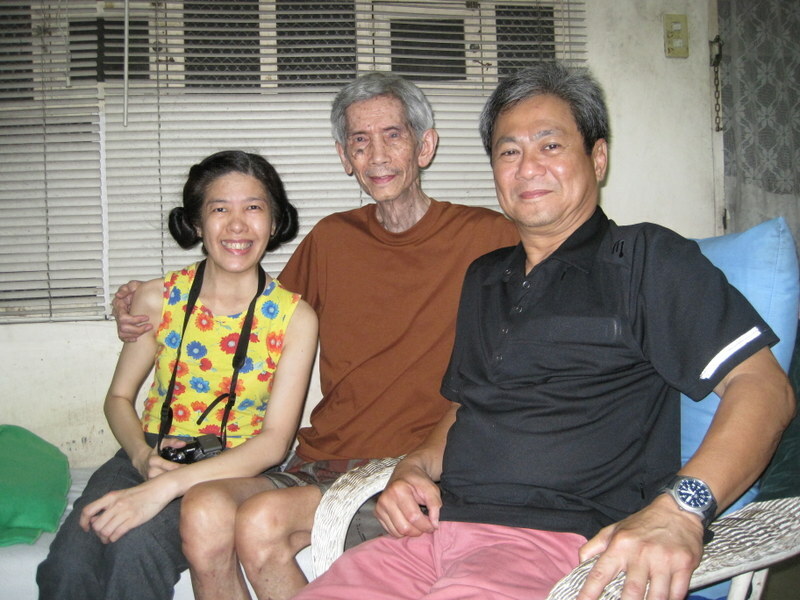 Attached is a photo with Manong Gabriel Asuncion with daughter Jo Anne. Manong Gabby has been my source of almost anything Asuncion . 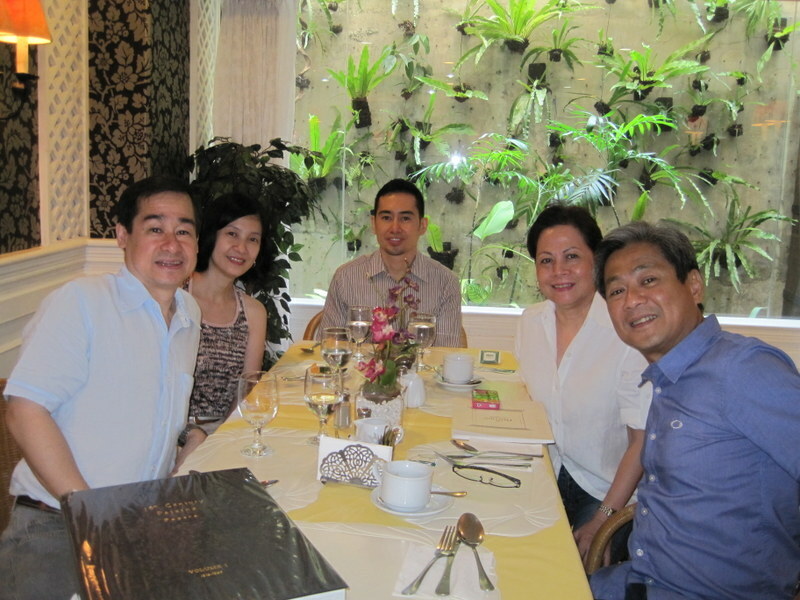 I must admit, this is my first time I’ve met Manong, although we talked often via telephone or email. 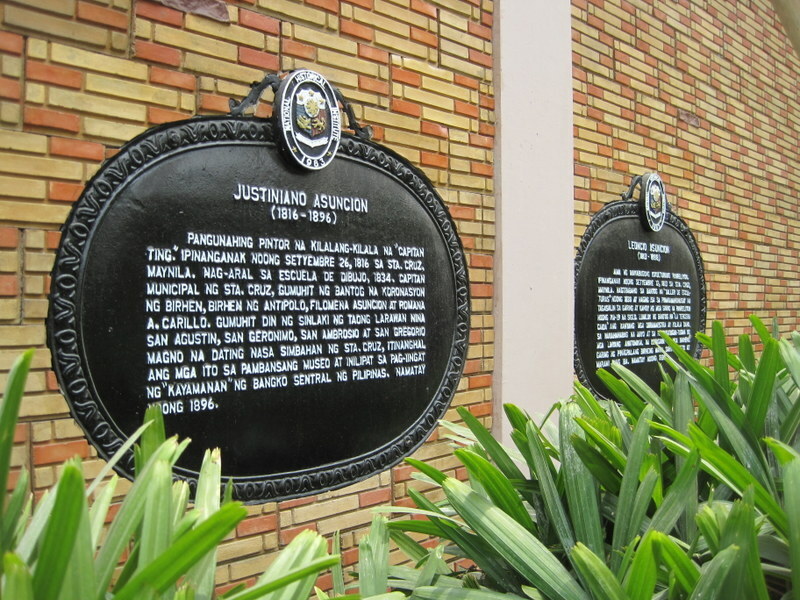 Gabby’s brother the late Eugenio was instrumental in reminding me that I am an Asuncion . I knew vaguely of this fact (other than it being the surname of my maternal grandmother) and the historical importance of what it meant – so thanks Eugene and may you rest in peace. 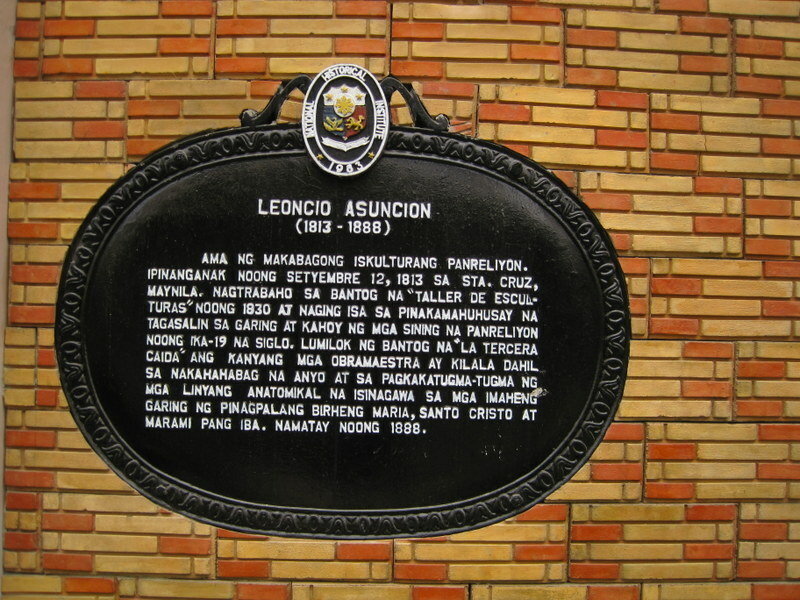 Manong Gabby’s lineage is Leoncio Asuncion, then Hilarion Asuncion, then Jose Maria Asuncion. 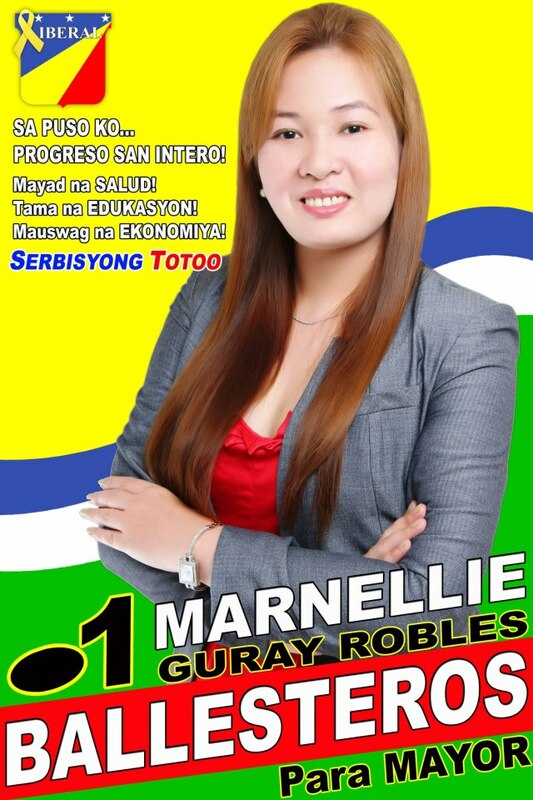 My maternal grandmother, Feliza, is the youngest sister of Jose Maria. 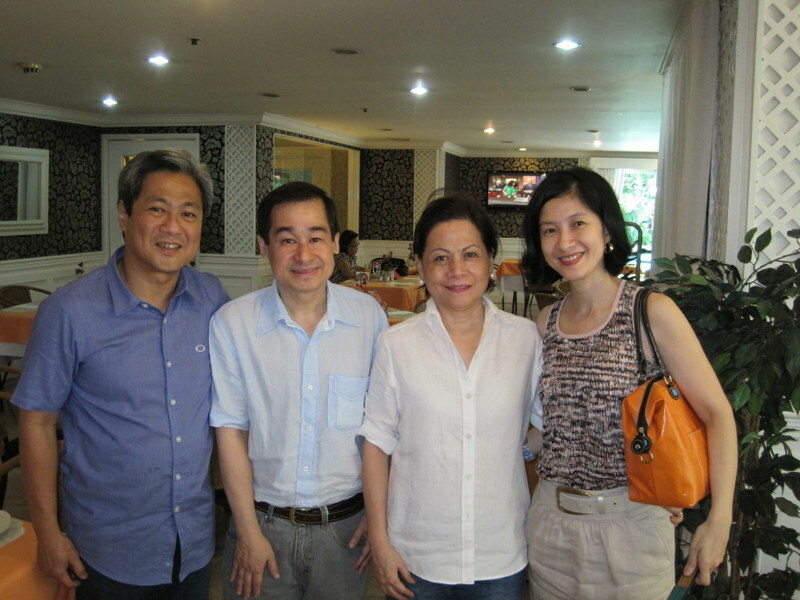 It can’t be better than this: Asuncion-Paterno reunion! Our common ancestry starts with a china man named Ming Mong Lo. He is considered a sanglay; a spanish colonial term for pure chinese immigrants who are in the Manila to conduct commerce. It comes from the Chinese word “Seng-Li” meaning business. Family records described him as an “apothecary of Mandarin descent.” He had his named changed to Jose Molo when he was baptized. 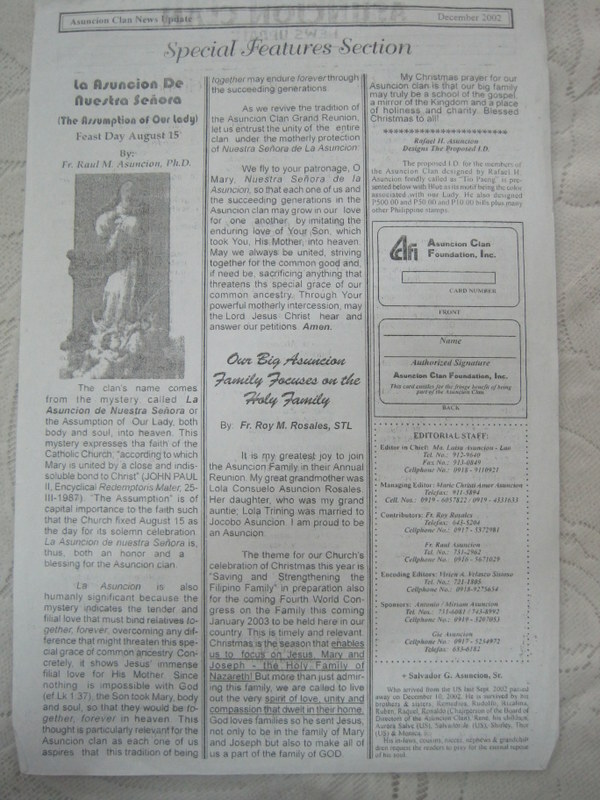 It is well documented in archives that Jose Molo is the progenitor of the Paterno family – with one of the sons, Paterno Molo de San Agustin, eventually changing the surname Molo (and those of his siblings following suit) to Paterno. 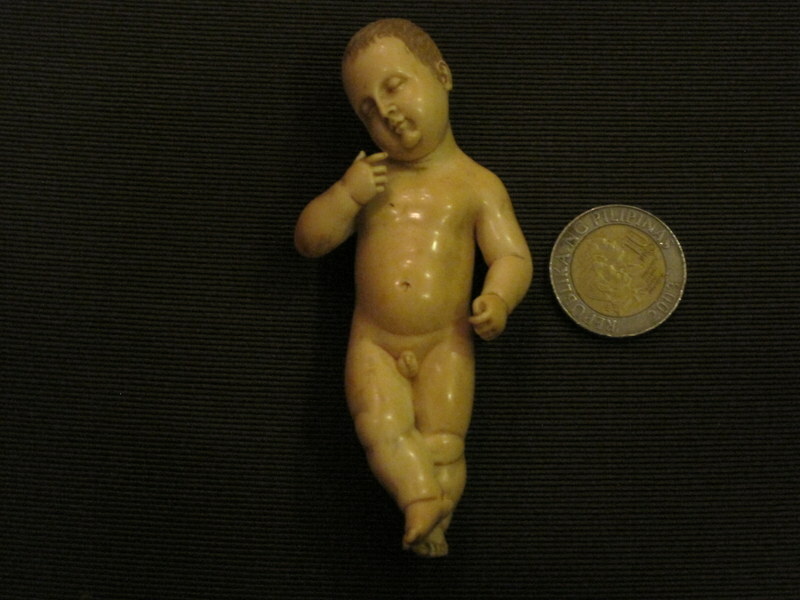 One of the daughters of Jose Molo is Maria de la Paz Molo de San Agustin. Maria de la Paz married Mariano Cagalitan. 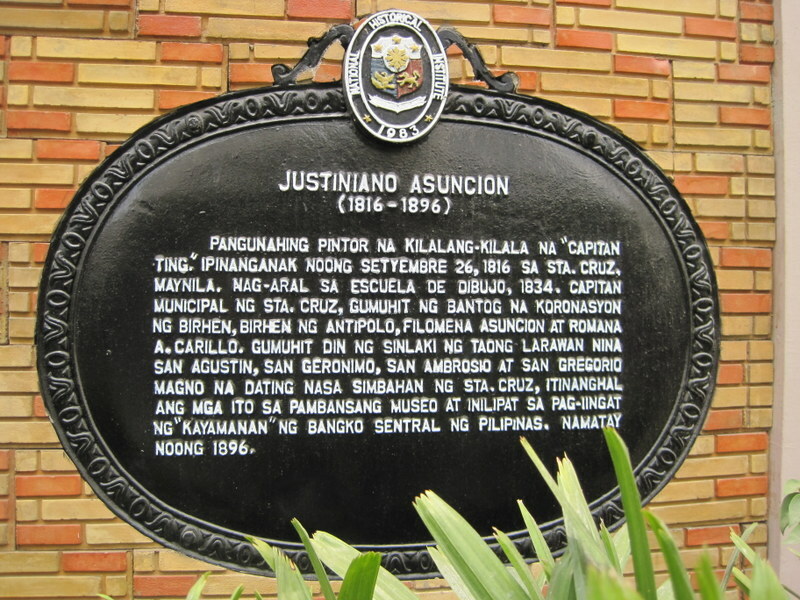 The Cagalitan surname was later changed to Assumpcion then finally to Asuncion . 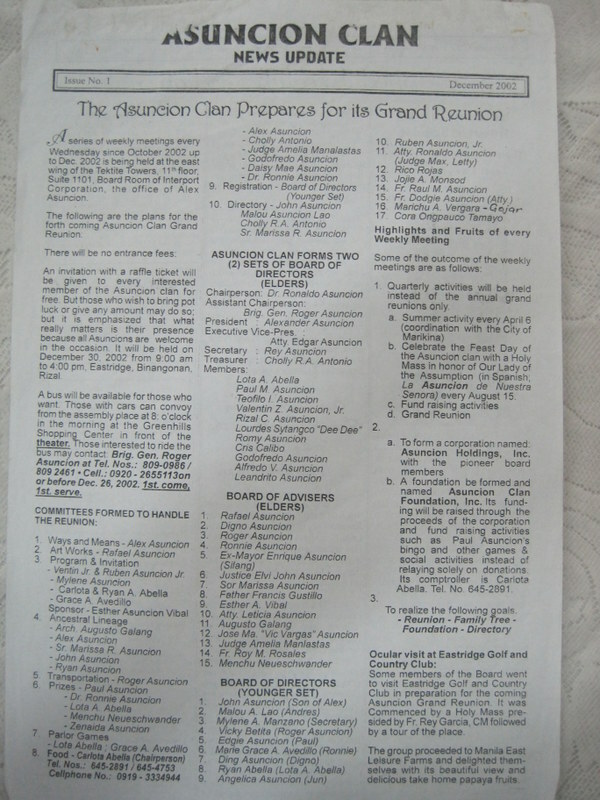 The reunion and reunification of blood siblings of Ming Mong Lo – the Asuncions and the Paternos is considered one of the highlights of April. 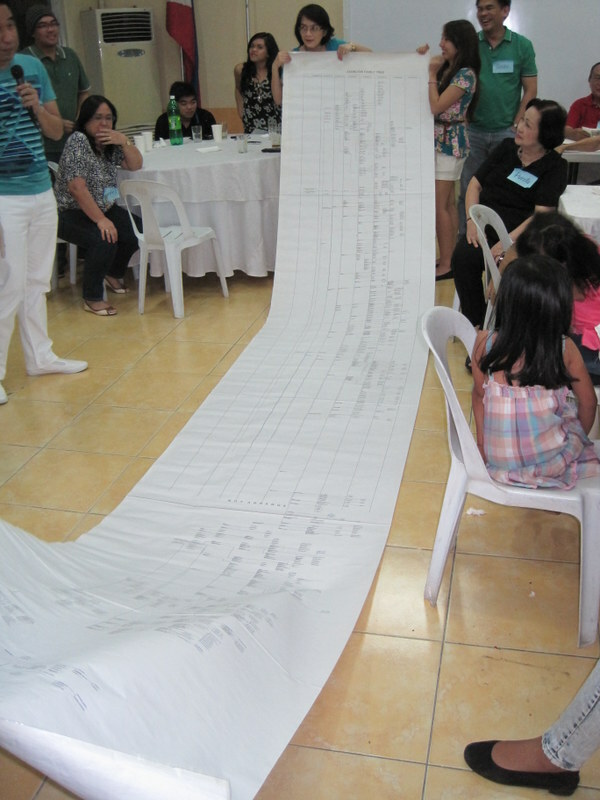 This is about seven or eight generations of pinsans from the progenitor Ming Mong Lo. Attached are photos of this event. The setting for this historic event couldn’t be more perfect – at the Orchid Garden Suites – a beautiful hotel (excellent staff, wide choice of food, clean and wholesome hotel) across the Century Park Sheraton in Vito Cruz St. Malate, Manila . The last reunion for this blessed month of April is the most special and personal. 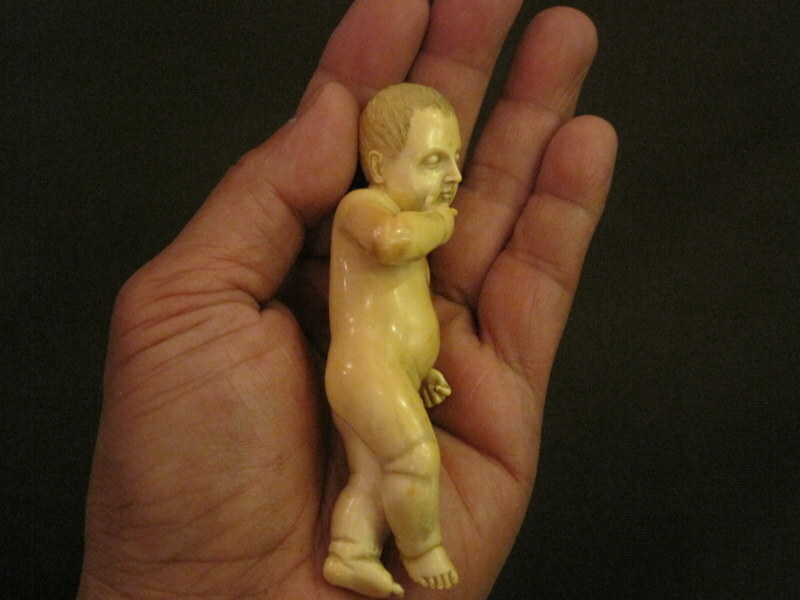 This is my reunion with the ivory sculpture of baby Jesus by Leoncio Asuncion. Attached are several photos. 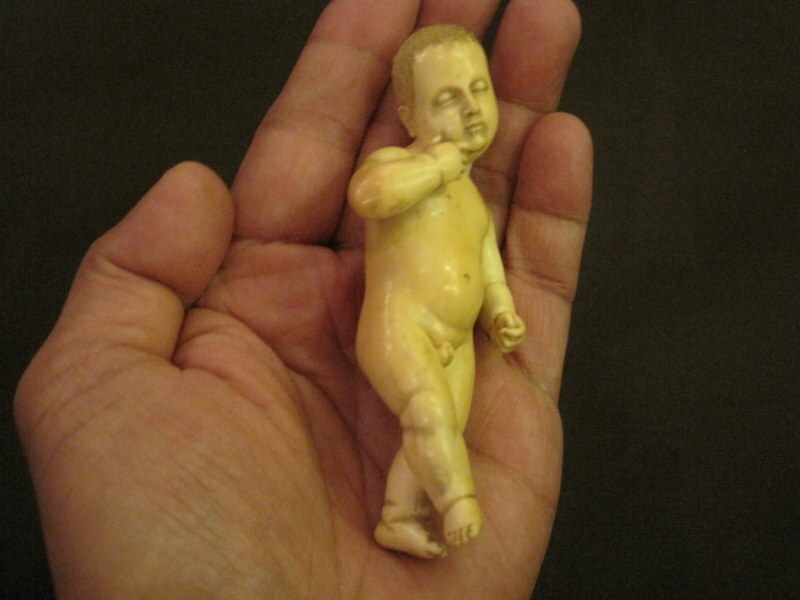 This sculpture is the one that my mother, Juanita Asuncion-Palileo, takes out during Christmas and New Year for all of us kids to kiss. 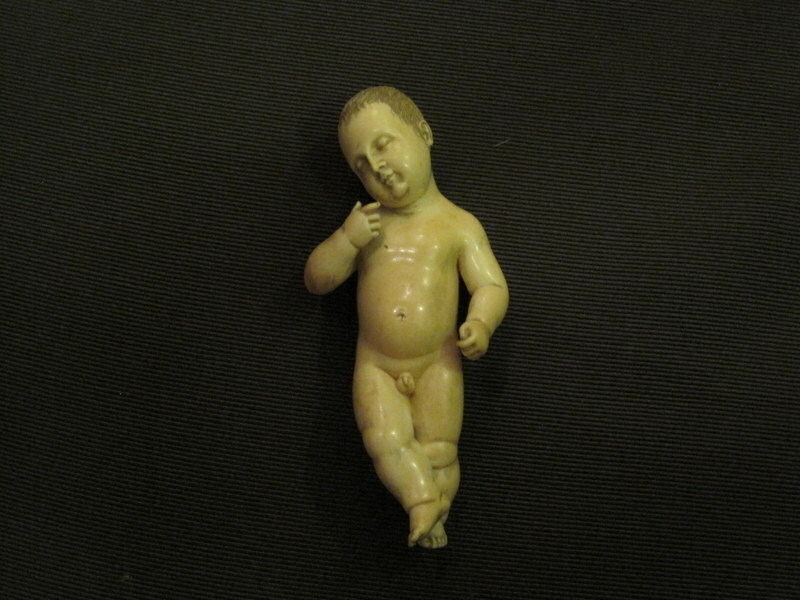 This is a known work of Leoncio with good provenance – a hand me down from generations. I hope you’ve enjoyed my Asuncion family stories and photos. 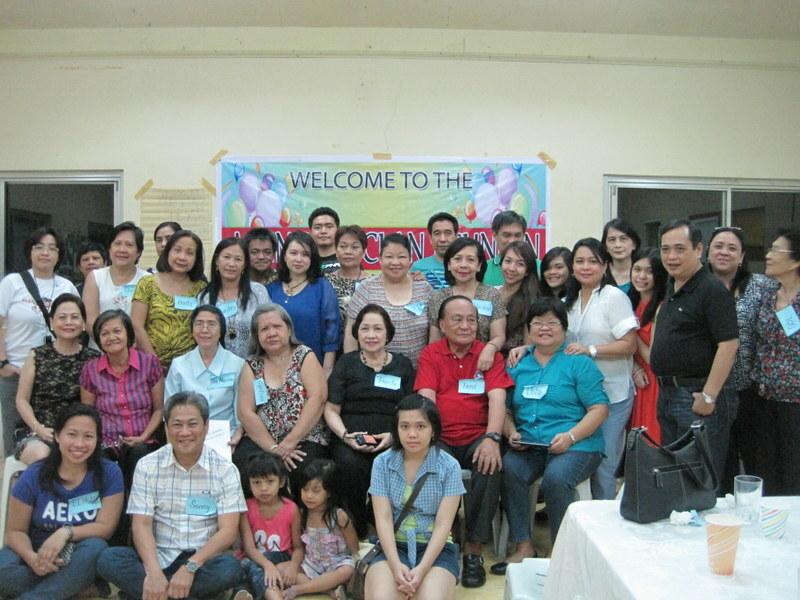 Until the next Asuncion reunion or better yet a joint Asuncion-Paterno reunion.